Blog - Reserve Your 2018 Kookaburras Now! The wait is (almost) over! The Perth Mint has finally made the 2018 Australian silver Kookaburra series available for pre-sale. Beginning in 1990, theAustralian silver Kookaburra is the longest running silver bullion coin program in the Perth Mint's history. Due to its early popularity, the silver Kookaburra release heavily influenced many other subsequent releases at the mint. Notably, the Australian gold Nugget series was redesigned into the Australian gold Kangaroo to emulate the success of the kookaburra design! Much of the modern success of the Perth Mint can be traced back to the early success of the silver Kookaburra series. The Design Is Updated Every Year - Most sovereign mints do not change the design of their bullion releases often. It can be expensive and tedious for something that is considered a low-premium bullion product. The Kookaburra series was the first to do an annual design update and began a trend that continues today. The 2018 Kookaburra design is one of the most beautiful of the entire series, and is sure to sell quickly. 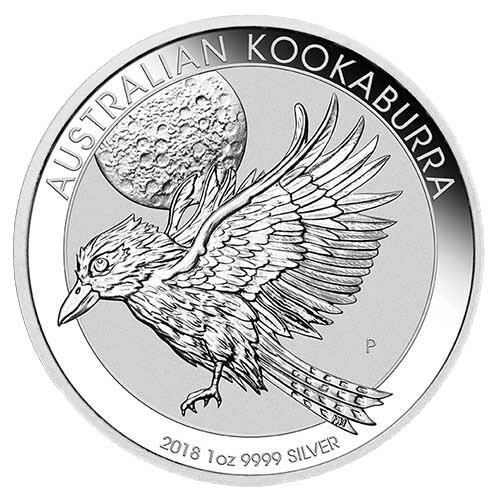 First Time Minted In .9999 Fine Silver - Previously minted in .999 Fine Silver, the 2018 silver Kookaburra is getting an upgrade. Following the overwhelming success of the switch to .9999 Fine Silver with the silver Kangaroo coin, the 2018 Kookaburra is finally following suit. This should be welcome news to collectors and investors alike. Limited Mintage - While the 10 oz and Kilo (32.15) sizes of the 2018 Kookaburra have unlimited mintage potential, the Perth Mint has chosen to limit the mintage of the 1 oz size to only 500,000 pieces. When you consider that in 2016, the U.S. Mint produced over 37 million 1 oz silver Eagles, it is easy to see why there is such demand for the 2018 Kookaburra. Packaged To Last - Each individual silver Kookaburra coin is issued in a sealed individual acrylic plastic capsule that will help the coin stand the test of time. Milk spotting and toning is rarely an issue due to the impeccable packaging of this series. Potential Premium Appreciation - Due to limited availability, the Kookaburra release is always one to look out for when it comes to premium appreciation over time. After the initial release is sold out, Kookaburras tend to vanish from the marketplace. 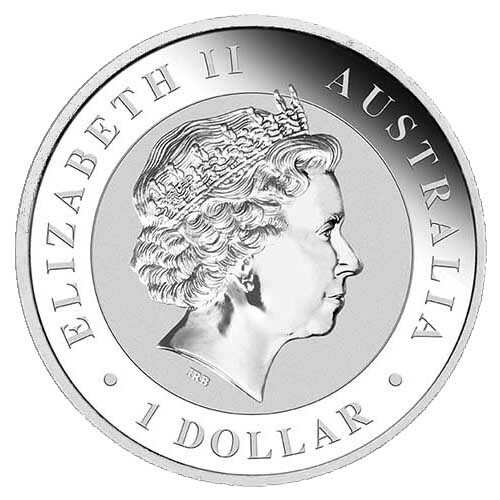 For example, the 2016 1 oz silver Kookaburra is already selling for roughly $9-$10 over spot, if you can find it. Even better, if you had bought a 1 oz silver Kookaburra in 2000, it would be selling for over $75 each today. That's more than a 4.5x appreciation! Spot Prices & Premiums Are Low - For 2018 Kookaburra enthusiasts looking to act during the pre-sale, the precious metals market has done you a favor. The FED comments from late September have smashed silver prices back in the the mid $16 per ounce range. On top of that, the premium for these silver Kookaburras are always at their lowest when they are first announced. Grab them while this opportunity exists! The silver Kookaburra has been one of the most popular bullion issues in the world for 28 years running. An excellent opportunity exists to acquire these coins at the lowest price online. Take advantage while the timing is right!